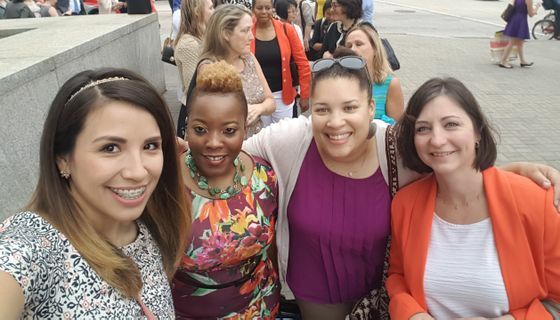 University of New Mexico graduate student Cindy Nava was given the opportunity to attend the United State of Women Summit in Washington, D.C. recently. She attended the conference alongside 5,000 other powerful women to hear discussion about women’s issues. Nava immigrated to the United States as a child and has never known anything different. She believes that New Mexico is the best state she could have grown up in as an undocumented immigrant. Nava became an advocate for the Legislative Lottery Scholarship because of how important it is to students in New Mexico. Nava always dreamed of going to college, but she always thought that it could never be a reality. She said she feels blessed that she’s gotten to achieve all she has. Nava is passionate about politics and started jumping on campaigns since 2012. She has done numerous competitive and prestigious internships and fellowships but was never able to be paid because of her legal status. Last year, Nava became a Fellow with the Democratic National Committee (DNC). Out of 70 students, she was the first undocumented student ever to become a Fellow. 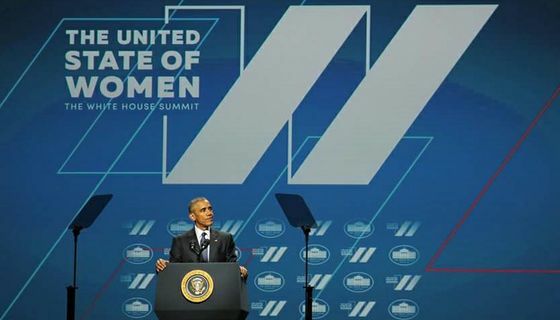 President Barack Obama addresses attendees at the United State of Women Summit recently. Earlier this year, Nava got an invitation from the Mexican Consulate of Albuquerque to attend the American Jewish Committee’s gathering in Washington, D.C. There, she was given the opportunity to meet all of the Mexican consulates, to the U.S. from around the country, as well as the Secretary of State from Mexico City and other diplomats from around the world. Nava said that many of the opportunities she has been given have come by surprise. When she was notified just shortly after returning from the AJC conference that she was invited to attend the first ever White House United State of Women summit —and that she would have to decide if she would attend within 24 hours—it was overwhelming, but exciting. 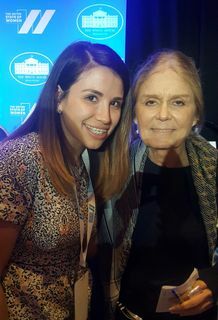 Cindy Nava and Gloria Steinem at the White House United State of Women Summit. 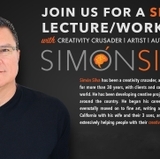 “[My superiors and mentors] allied and joined forces and sponsored me to attend. So, I was able to represent a whole set of departments,” Nava said. In order to be selected to attend the summit, six or more nominations were required. Nava does not know who nominated her, but she said is very grateful to them. Nava said her experience was an incredible one. She was excited to see so many inspirations and role models gathered in one room. “It’s very empowering to see all of these people coming together to talk about women and to empower women,” Nava said. Nava said that this event was an amazing networking opportunity. 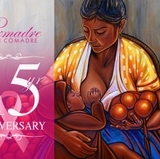 Cindy’s drive and inspiration is rooted on the teachings of her grandmother Eva who resides in Mexico, and therefore always makes it a point to speak about her within presentations and speeches especially during this time as her grandparents find themselves ill in Mexico. Through all of these opportunities, Nava said that she believes it’s important to show other undocumented students that within all difficulty lays opportunity and with opportunity rest dreams, goals and success. UNM's Cindy Nava, left, and other attendees entering the Unite State of Women Summit.